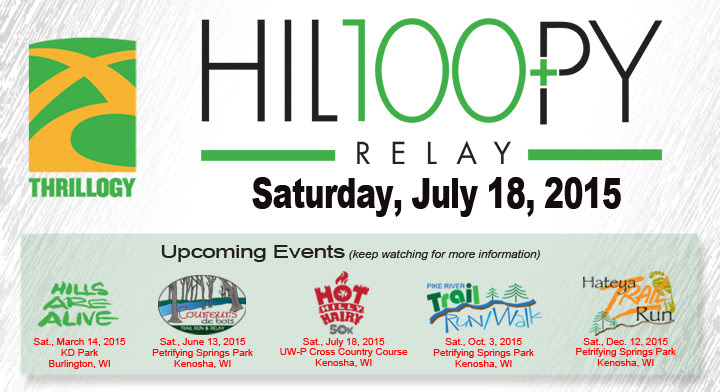 "GOOD TO GO 'TIL TEN BELOW": Spring run 2015! Looks like the weather is getting better but still a bit chilly at 7:00 am so be sure to come dressed for freezing temps. We will be meeting here and running the Cemetery Run (route). A few items we received in the group's mailbox are listed below. May 2nd in Kenosha, WI. Prices will increase on Sunday, March 15th, so register by Saturday night and save a little cash. that provides some stunning views of Lake Michigan. all runners will receive a ticket for a brat and beer at our Post Race Party. The weather is finally getting nicer so it is time to enjoy a long run. Bring your friends along and you can participate in our new Team Challenge, too!